Our Oscars research had us wondering: How many Regians have earned roles in movies, television, or on Broadway, as actors, writers, or directors? Below is an initial list of Regis actors and directors. Email us the names of other alumni who have appeared on screen (or behind a script!) and provide details on the movies, television shows, plays, or musicals they were involved in. Please send those details to centennial@regis.org (photos encouraged!). 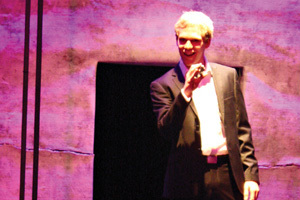 Above: Brian Cross '08 stars alongside "Weeds" star Mary-Louise Parker on Broadway in The Snow Geese. 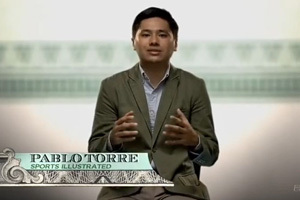 Above: Pablo Torre '03 is prominently featured in Broke, an ESPN documentary reporting on professinoal athletes and their financial health.. Above: Michael Izquierdo '96 alongside Eddie Murphy in Meet Dave (2008). 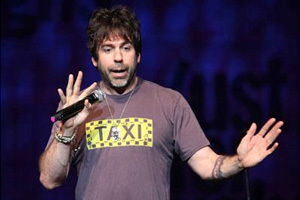 Above: Greg Giraldo '83 performing standup comedy. 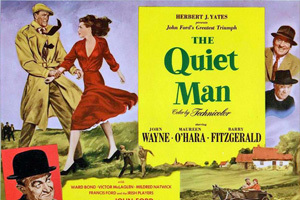 Above: Frank S. Nugent '25 was nominated for a 1953 Academy Award for Best Writing of a Screenplay for The Quiet Man. Above: Brian Lewis (Wiles) '04 in a recent episode of CBS's Person of Interest. 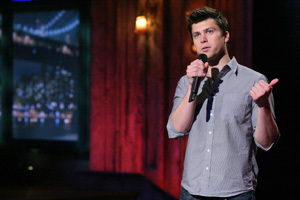 Above: Colin Jost '00 performing a stand-up comedy routine. 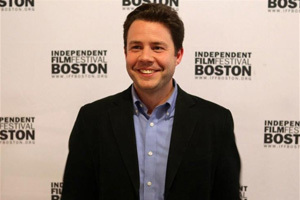 Above: Craig DiFolco '96 at the Boston Independent FIlm Festival. 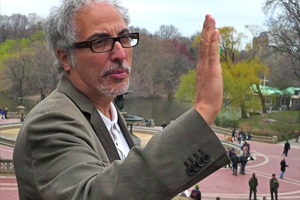 Above: Norberto Barba '81 directing on a scene by Central Park's Bethesda Fountain. 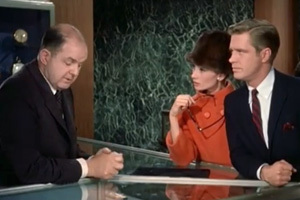 Above: John McGiver '32 alongside Audrey Hepburn and George Peppard in a famous scene from the 1961 blockbuster Breakfast at Tiffany's.